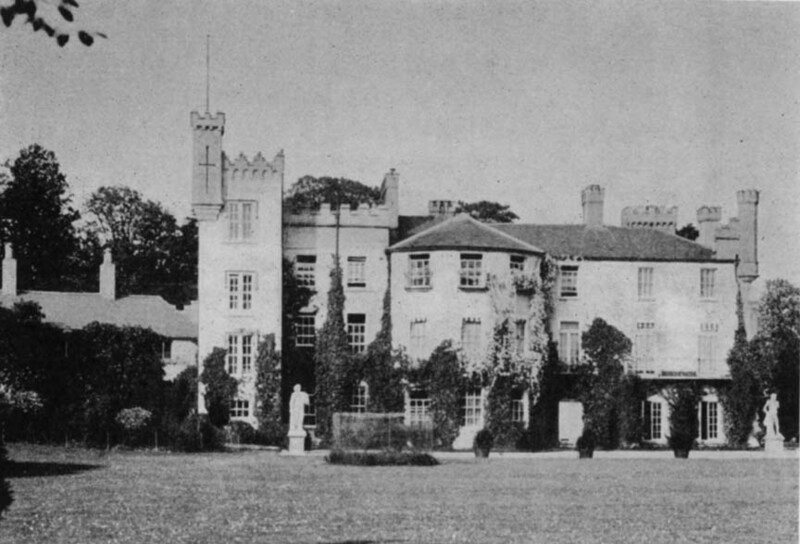 Bellingham Castle served as one of the ancestral homes for the Bellingham family from the 17th Century until the 1950s. The original castle was built around 1660 by Sir Henry Bellingham, who was a cornet in the Army during the Civil War. He purchased the lands of Gernonstowne, Co. Louth, from a fellow soldier who had been granted them in lieu of arrears of pay. The purchase was confirmed by King Charles II. There is some variation on the spelling of Gernonstowne. On various maps and other documents, it is spelled Gernonstowne, Gernonstown, Gernon’s-Town, Gormanstown, Germanstown, Garlandstown and Garland. Irish road signs show the English as Castlebellingham, while the Irish translation still refers to Baile an Ghearlanaigh - or Gernonstown. It was not called Castlebellingham for at least 40 years after the purchase. The name does not appear on any document before the year 1700. Around 1710, it began to appear in journals and other sources as Castlebellingham. The castle was occupied by troops and burned down in the autumn of 1689 by King James II, in revenge for Colonel Thomas Bellingham being a guide for William III, prior to the Battle of the Boyne. It is said that King William’s armies camped the night before the Battle of the Boyne in the grounds of the castle. Over time, Castlebellingham became an important gathering point in the county. Fairs were held there every year and a church was constructed next door to the castle, along with a graveyard that houses the Bellingham family vault. The Bellinghams became one of the most powerful and influential families in the county; for over 100 years, a Bellingham held the seat in Parliament for County Louth. Records also note Castlebellingham for having ‘the best malt liquor’ in Ireland. A brewery was built on site about 1770 and belonged to an O’Bryen Bellingham. For a number of years, a brewery partnership ran their liquor business. The brewery is still there but now houses the ‘button factory’ or Smallwares Ltd. The brewery was the main supplier of drink to the Boer War troops. A history of the parish, dated 1908, states that the impressive Calvary standing at the entrance to Bellingham Castle was erected by Sir Henry Bellingham as a monument to the memory of his first wife, Lady Constance. A collection of inset religious panels can be seen on the upper facades of many of the village buildings. These are also a reflection of Sir Henry's religious sentiments, and they are unique in Ireland. In addition to the many panels, there are biblical quotations cut into the stone window sills of some buildings. North of the castle is a carefully preserved group of ‘widows’ dwellings’, built from charitable motives by Sir Henry. In 1905, Bellingham Castle was the venue for the romantic wedding celebrations of Augusta Mary Monica Bellingham, daughter of Sir Alan Bellingham, 4th Baronet; to the 4th Marquis of Bute, John Crichton-Stuart. The Marquis, who was one of the wealthiest men in the British Isles at the time, spared no expense and treated his bride and guests to a lavish celebration, including chartering the Princess Maud steamer to take their guests and the Isle of Bute pipe band across the Irish Sea to Bellingham Castle for the wedding. As the society event of the year, the wedding attracted worldwide media attention, from California to New Zealand. Footage from the wedding celebrations still exists. This remarkable film is believed to be the one of the earliest wedding films in the world. Bellingham Castle is clearly depicted in the footage, together with scenes at nearby Kilsaran Church and the village of Annagassan, from where the wedding party and their guests arrived and departed by steamer. 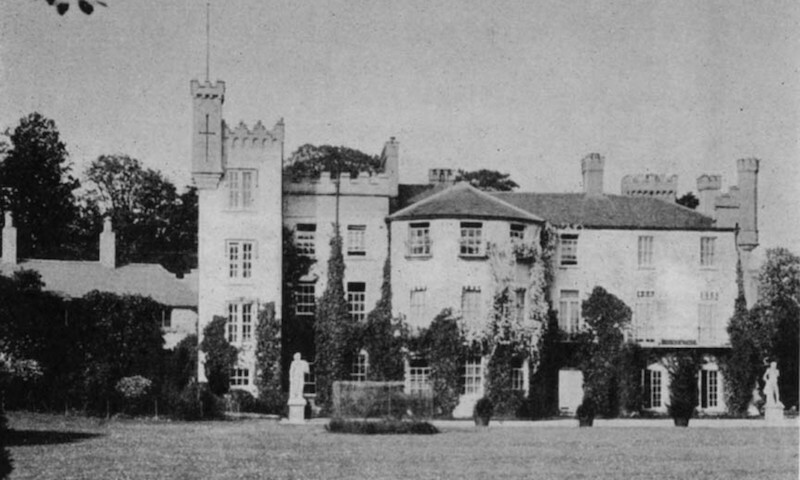 Castlebellingham was the ancestral home of the Baronetcy until the late 1950s. The last Bellingham to live there was Brigadier General Sir Edward Bellingham, born in 1879, who was the last Lord Lieutenant and Guardian of the Rolls (Custos Rotulorum). It was purchased by Dermot Meehan in 1958 from the Irish Land Commission for £3,065.00. Mr Meehan spent several years converting the house into a hotel. The Meehan family sold the hotel and 17 acres in 1967 for £30,636.61 to Mr John Keenan and under the Keenan family stewardship, the castle prospered over the following four decades. 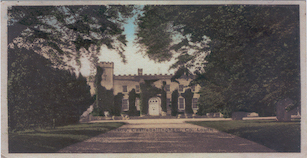 In December 2012, the castle - including the 17 acres - was acquired by the Corscadden family. The family also own Ballyseede Castle in Tralee, Co. Kerry; Cabra Castle, Kingscourt, Co. Cavan, and Markree Castle, Co. Sligo. The next chapter in the history of Bellingham Castle has begun, as an exclusive venue for private weddings, civil ceremonies, conferences, meetings and corporate events. Bellingham Castle is a building of intrinsic historical and architectural interest and is open to the public between the hours of 1pm and 3pm, Monday to Friday for viewing year-round. Please call in advance to ensure there is somebody at the castle to show you around! (Closed December 24, 25 and 26).